Diamond Details: 42 Round brilliant cut white diamonds, of G-H color, VS clarity, of excellent cut and brilliance, weighing .52 carat total with 1 pear cut white diamond, of F color, VS2 clarity, weighing .74 carat total. 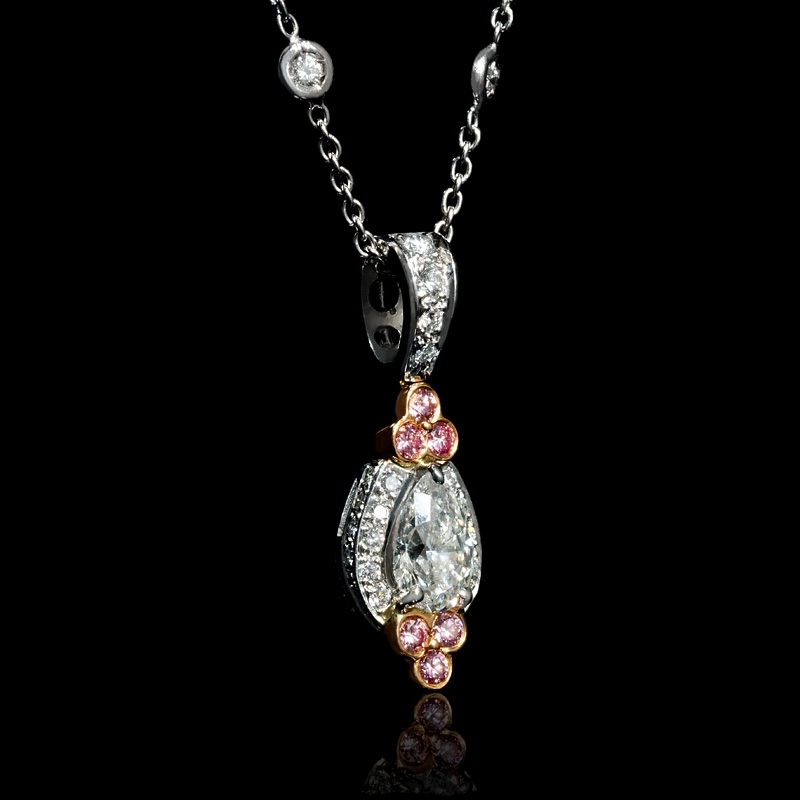 Pink Diamond Details: 6 Round cut pink diamonds, of SI1 clarity, weighing .15 carat total. 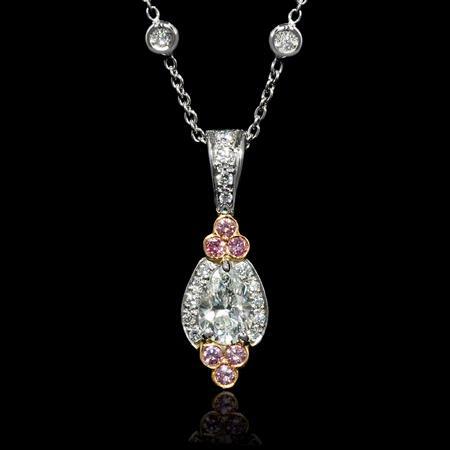 Pendant Design: Charles Krypell Precious Pastel Collection platinum and 18k rose gold design with antique styling. Necklace Measurements: 18k white gold chain and 17 inches in length. Pendant Measurements: 23mm in length and 8mm at the widest point. 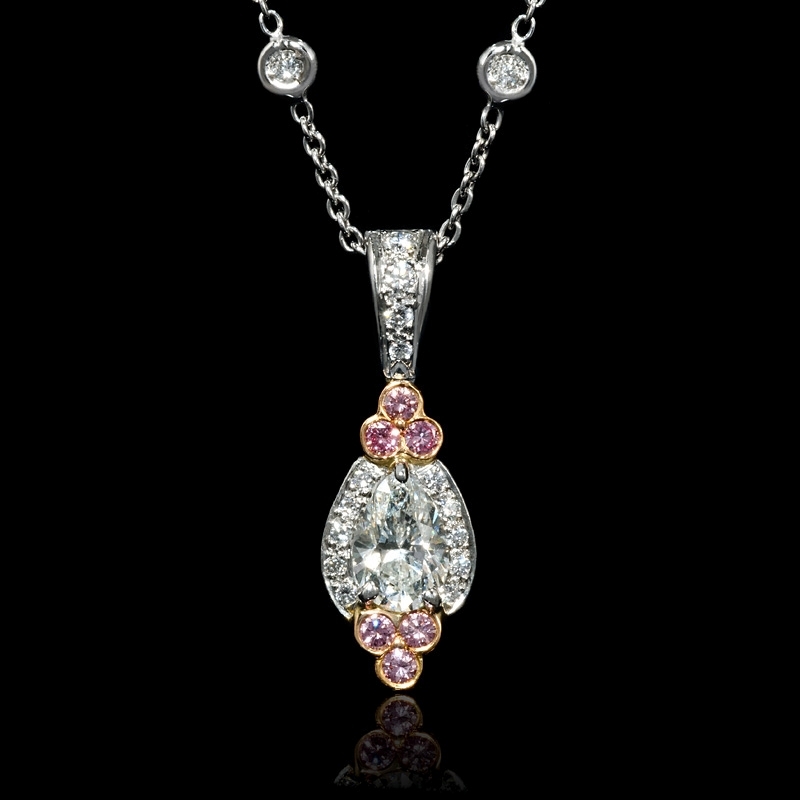 This elegant Charles Krypell antique style pendant necklace, part of the Precious Pastels Collection, features platinum & 18k rose gold with 42 round brilliant cut white diamonds of G-H color, VS clarity, weighing .52 carat total, 6 pink diamonds of SI1 clarity, weighing .15 carat total, and 1 pear shaped white diamond of F color, VS2 clarity, weighing .74 carat total. 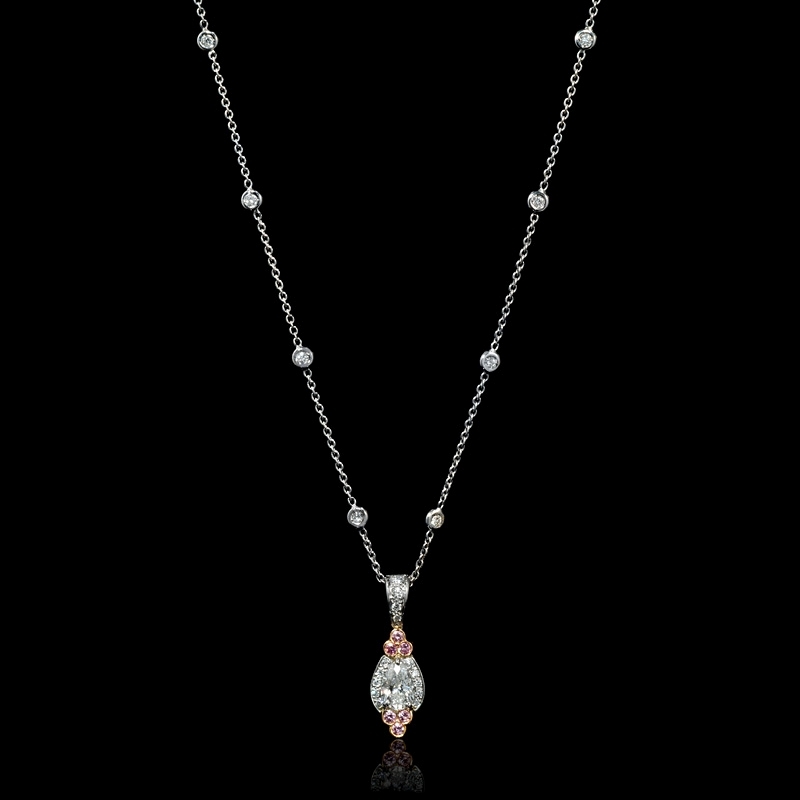 This 18k white gold chain measures 17 inches in length and the pendant measures 23mm in length and 8mm at the widest point.